There’s never been a better time to stock up on Farmland bacon! Farmland has had a passion for pork since 1959 and you can taste the difference. 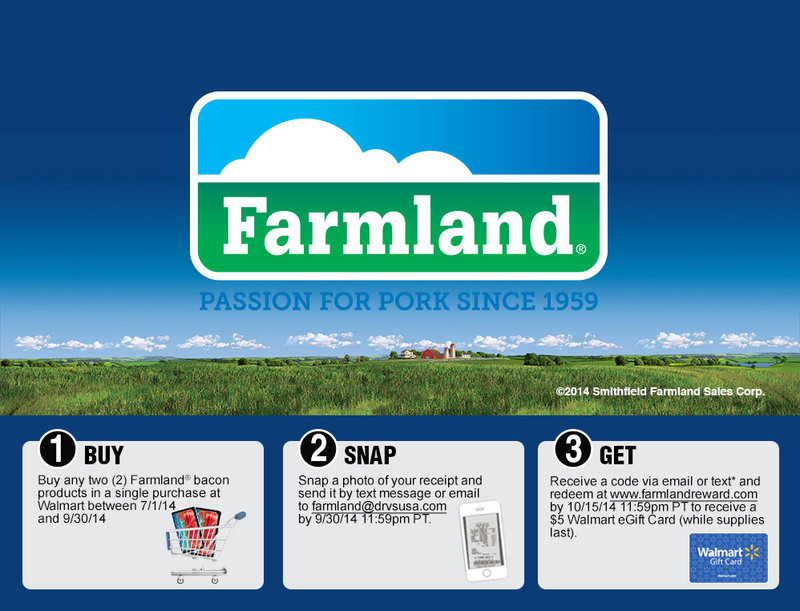 For a limited time, receive a $5 e-Walmart gift card when you purchase two packages of Farmland bacon at Walmart. Look for more details on pack or check out drvsusa.com/farmland. BUY: Two packages of Farmland bacon at Walmart. SNAP: Submit an image of your receipt showing qualifying purchases toTPG. RECEIVE: An e-$5 Walmart gift card – within 10 minutes after qualifying purchases have been validated!